Start off with clean face and clean hands, select the perfect foundation color for your skin, apply it with the help of your fingers or you can use a foundation brush as well . After the foundation is done on the face from center of the face till outwards direction then Stipple across the foundation on your forehead and the jaw line and take it down to your neck. Next use Concealer on dark spots and skin problems. And finally Buff the foundation powder/ compact powder in the circular motion. This also helps to hide the large skin pores. How do you use /apply foundation ? 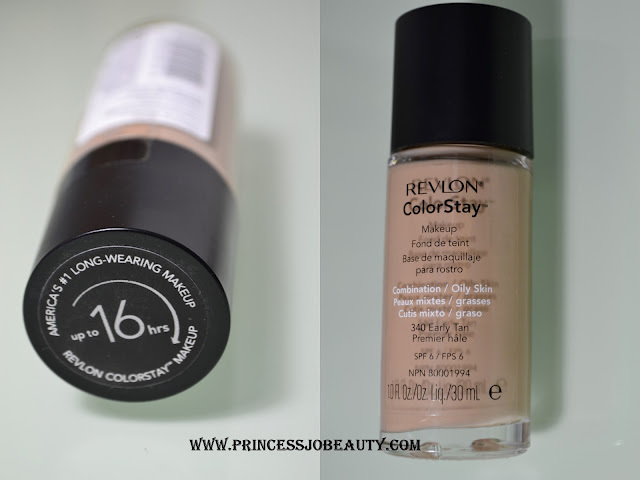 I seriously think REVLON color stay foundation is the best foundation for the Indian skin tone !! Thanks for reading my Makeup Diary, Leave me a comment Below I respond to them sooner I can. Do you want to be the first one to know the latest happenings at princessjobeauty.com , then just subscribe to our RSS feed and you can also follow us on YouTube , Twitter and Facebook and stay updated! 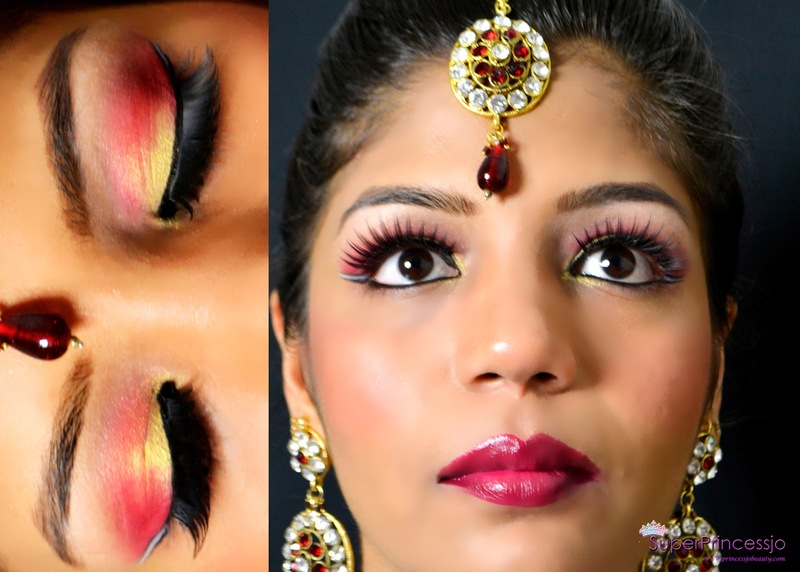 Indian Bridal Wedding makeup using the most used RED and GOLDEN eye colors . I am super excited to share with you the pics of my recent look, I just miss home and my country so much since I got married because you have been living away from the home land since years now. I can not attend every family wedding as of the leave issues !!! ( damn we get so less leaves in a year in these Asian countries compared to European world). At least that makes me happy for some time and feels close to my Indian culture and Tradition . 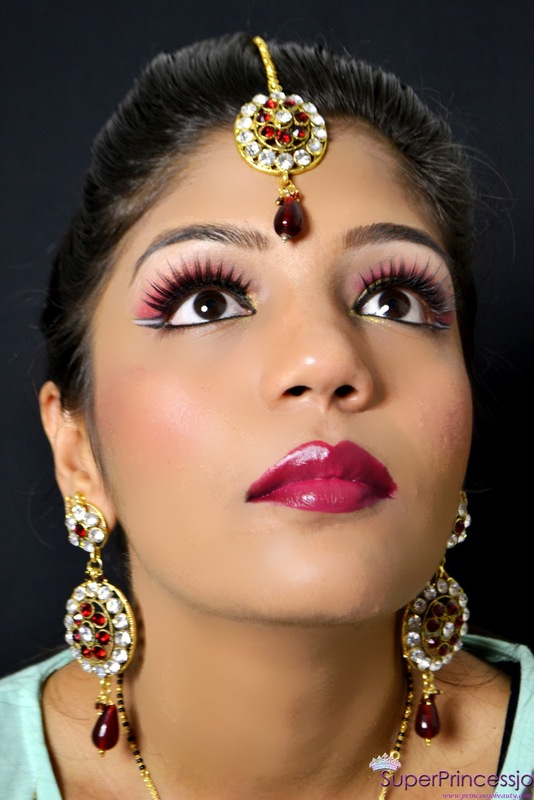 Here is the Red gold Indian Bridal Makeup Pictures and Video. Isn't that Jewelery so pretty ?? And imagine I found it in Singapore !!!!! So so happy to get something I love so much (otherwise I am too choosy in my stuff) It really needs to suite my taste and desire!! else i will keep Hunting for It.